Early this morning, I received a text message from one of our sales people who said that a company had called in and that we were supposed to have 2 trucks at their location and no one showed up. This wasn’t a normal customer of ours, but I went into panic mode anyway. I flew into the office with reckless abandon, worried that I somehow had forgotten about a shipment. On the way in, I called the company who was expecting us so I could try to get some more information and I quickly realized they had contacted the wrong company. We have a similar name to another company and they called us by mistake. Once I explained to the person that we were not the company she was looking for, I took the opportunity to turn the call into a sales call. Explaining who we were, what we provide, and that even though we weren’t the company she was looking for; that we are the type of company that will answer the phone early in the morning when something is wrong. It was the easiest sell in the world. We had no responsibility to try to help them but did anyway and I know that we left a good impression with this company. I take business cards with me everywhere. Not just to hand to customers when I visit them or to drop in restaurant fish bowls in hopes of getting a free lunch. I make sure to have them so that whenever I am anywhere, if I hear someone talking about anything related to my industry, I can use it as an opportunity to introduce myself. Cold calling is tough and it can be discouraging when people don’t want to listen to your pitch. If you are always paying attention when you are in public you can create a sales pitch on the spot. I was at a baseball game a couple weeks ago and while waiting for drinks I overheard 2 people talking about working for a company I know we have been trying to do business with for several years. I politely introduced myself and asked them what they did for this company. We spoke back and forth about their industry for a while and I built a rapport with them. As the conversation started to wind down I took the opportunity to let them know that my company could help them, gave them by business card, and let them get back to the game. Again, it was a super easy and comfortable sell. Not everyone wants to be bothered when they are out in public, but by being interested in their industry and what they do will help build a level of comfort. You will miss 100% of the shots you don’t take so don’t be afraid to get out of your comfort zone to and strike up a conversation with someone. You never know… a random conversation could turn into a million-dollar customer. 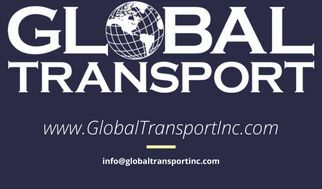 Jack Holmes, Operations Manager of Global Transport, Inc.